"One stop. One Source. One Site." The challenge was how to convey the integrated value of the GE Polymerland site in an industry not yet adjusted to web enterprise. 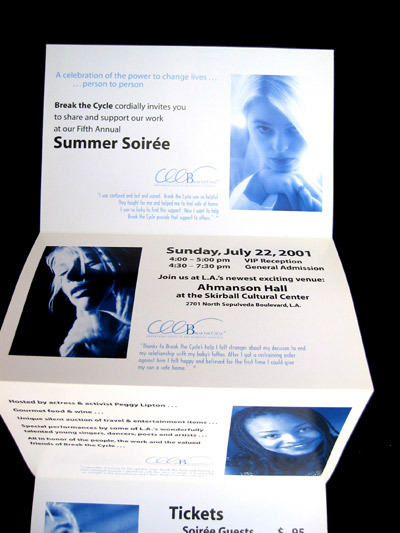 We strategized that the solution had to be simple, bold and believable to make any headway. We took the graphic elements of the home page and tightened them into an iconic visual that became the mantra for the marketing efforts: Buy. Design. Interact. Research. the four most important aspects of any design or molding engineer's world. Even the color scheme became seated in the minds of the target audience and helped create a category breakthrough marketing program for GE Polymerland. 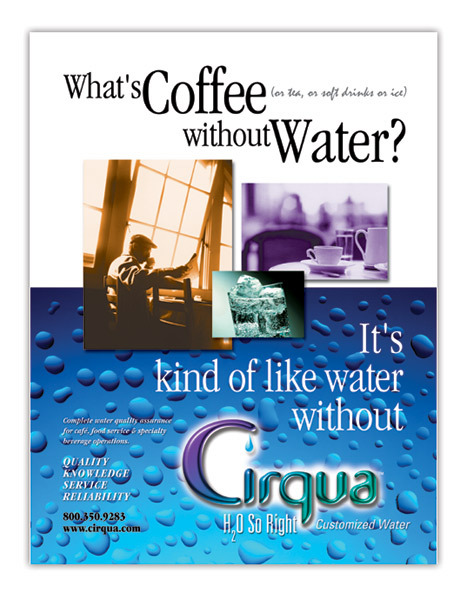 Fill the space with Coffee, Tea, Sodas, Bread, Prepared Foods --but foodservice can't live without water This was the perfect counterpoint to the concept of using water not treated by CIRQUA to assure the quality. Our goal was to create recognition of a need -- the need for consistent quality assurance. We positioned CIRQUA as the sole owner of the "customized water" category to differentiate them from all the "box selling" competitors. Everything throughout the entire marketing campaign was designed to hammer home the brand promise: H2O So Right -- a statement to which nobody else could lay claim. Pro Bono clients need concepts & ideas too! 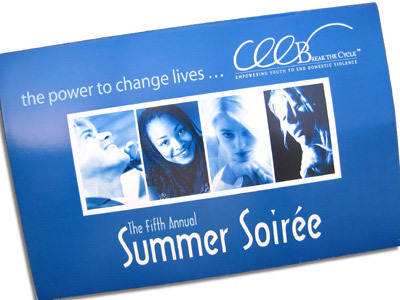 Domestic violence prevention organization Break the Cycle's annual Summer Soirée is a critical fundraiser for the group's operation. the strategic task is how to create a face that is one and the same time appropriately serious for the nature of the work yet engaging and warm enough to make friends and benefactors want to participate. We created a simple but powerful connection with accessible photography and a refined approach -- matched with a promise that the work of Break the Cycle could -- and does -- truly change lives. Each panel held a paragraph with the actual words of clients who had been helped through the activities of Break the Cycle's staff.